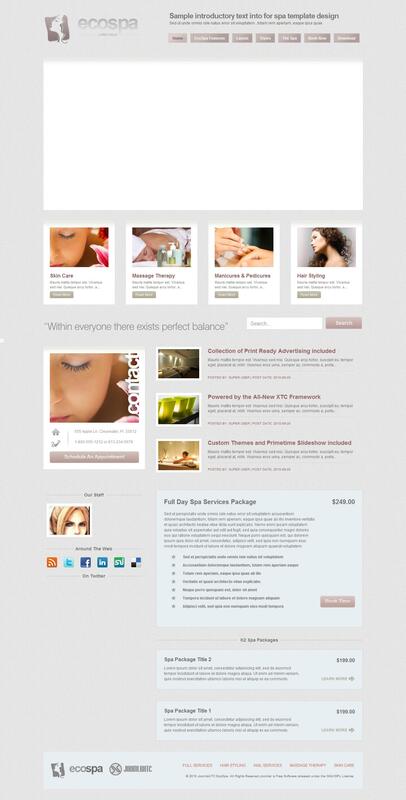 JXTC EcoSpa - stylish pattern women's issues from the developers JoomlaXTC, which is ideal for creating websites beauty salons and fitness centers. This template has 6 preset styles, 32 module positions as well as full compatibility with the components of K2, JComments, RSMonials and CCNewsletter. Updated studio platform XTC Framework provides full access to all the settings layout options, so there is a unique opportunity to give the site an original and unique appearance.